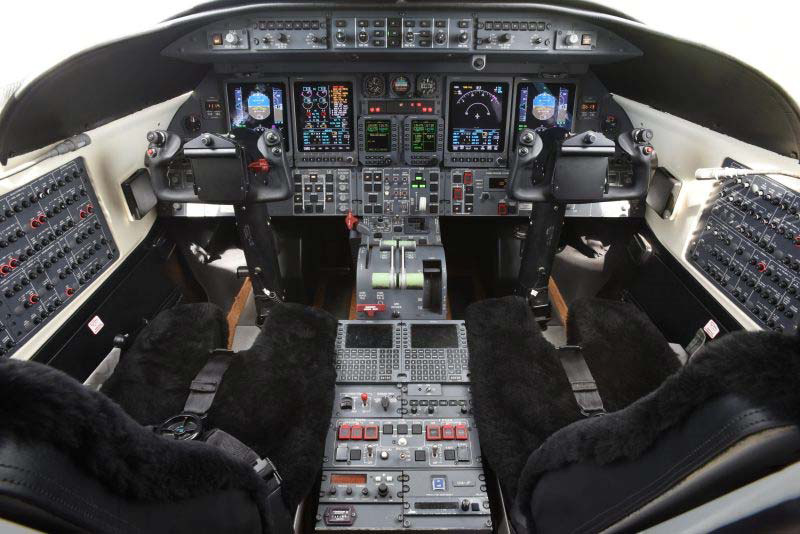 The Honeywell Primus 1000 digital avionics suite is certainly up to par with the high-performing jet; its four cathode ray tube screens are located at logical positions on the control panel. 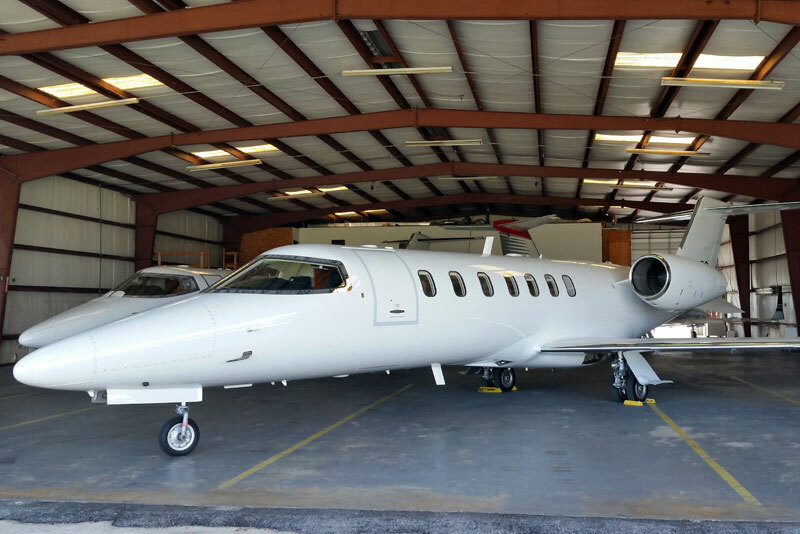 The designers of the Learjet 40XR paid a lot of attention to arranging the avionics in an easy-to-use, logical layout, ultimately making the pilot’s job easier – and each flight safer. 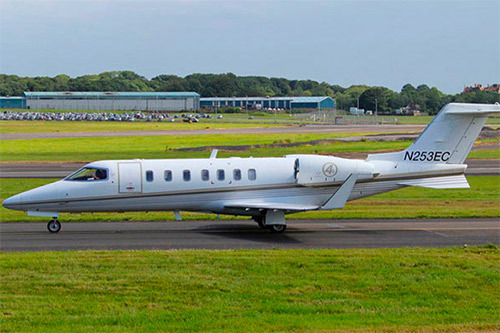 Standard (7) passenger Forward Club, Rear Forward Facing seating with Belted Lavatory Configuration, LR45XR Tailored Moore & Giles Barcelona Eclipse Beige Leather passenger seats, with 2 Left & 1 Right stowable Executive Tables with Leather Table Top Inserts. The left and right side ledges are High Gloss Wood Veneer with leather accent and the Hardware is Brushed Satin Nickel. Window shades are pleated fabric. The Cabin Headliner & Windowline in Tapis Off White Ultra leather. The Sidewalls are exquisite Galant Chestnut Province Collection. 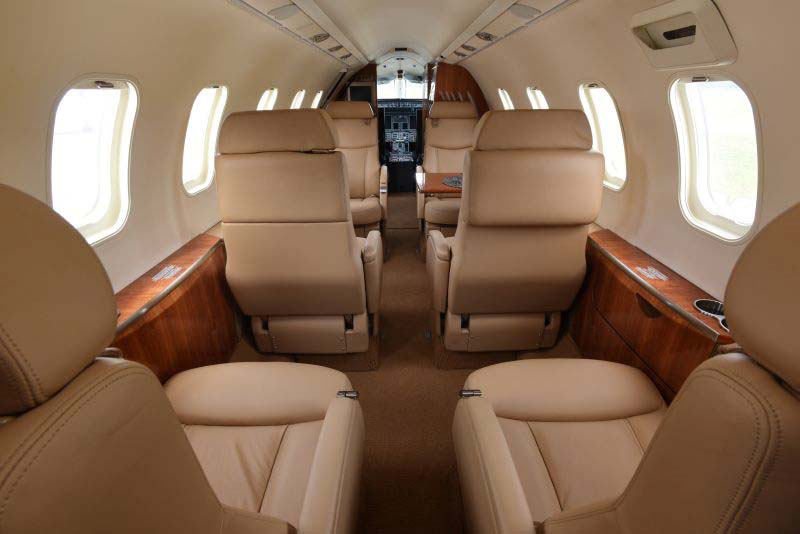 The cabin lighting includes PSU Indirect Lighting and Dropped Aisle Accent Lighting. The carpet is AIP Landings Loop Tiger’s Eye. 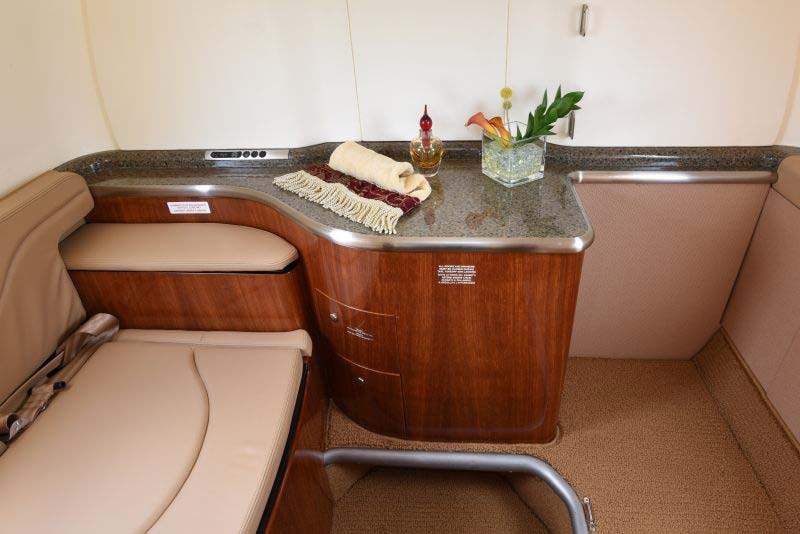 The right side refreshment center has a Hardwood Bullnose Edge stained to match. Left Hand Cabinet behind Pilots seat. The Cabinetry is Figured Makore High Gloss Veneer. The Flight Deck includes covered in Black Sheepskin. Passenger seats are fireblocked. 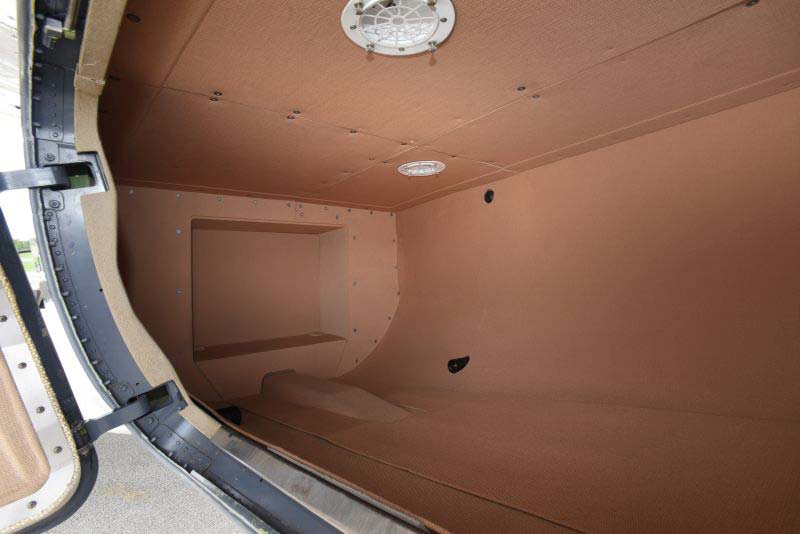 The aft cabin includes a Left Side Belted Flushing Toilet with stowable (pocket) privacy doors. External Baggage Compartment.